This past week I had more cheerleader injuries in my office than ever before and that’s what inspired this blog post. I have many patients that will see a young lady or man in a cheerleader uniform leave my office and ask why they would need to see a chiropractor. I always start with saying contrary to the average portrayal in movies where the girls are in colorful outfits, pom poms in hand, cheering for their team, the Cheerleaders that visit me are serious athletes. It has taken a while, but the public is finally starting to realize just how true this is. Data collected by the National Center for Catastrophic Sports Injury Research (NCCSIR), between 1982 and 2009 cheerleaders made up for more than 70 percent of catastrophic injuries in women’s college sports. At the high school level that number exceeded 60 percent. That’s a crazy number to me! Since chiropractic treats the whole body structurally via spinal adjustments and medical massage through soft tissue techniques treats the muscle, patients can receive complete care after an injury and during rehabilitation in our office. 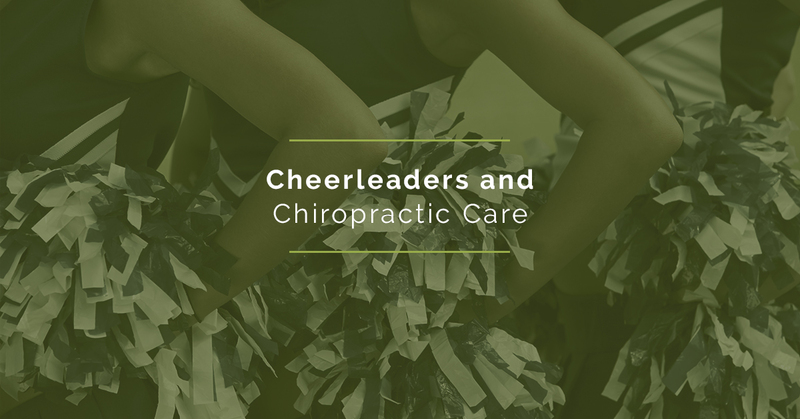 Cheerleaders are finding that chiropractic care coupled with medical massage provides numerous benefits and can even make them better athletes. Even when no injury is present, athletes can benefit from chiropractic care and massage therapy. This is especially true in high impact sports like cheerleading where athletes push their bodies beyond limits through acrobatics and some of the strenuous tricks that they do in the course of their sport. Chiropractic and massage therapy helps to loosen muscles, making them more pliable and flexible, thus less prone to injury. Get treated at Adjust Your Health! Lexi, our highly trained medical massage therapist, my husband (Dr. Jeff) and I enjoy working with athletes of all ability levels and ages. If you are looking for a team of Leawood practitioners that will invest in you like family… give us a call!